Still can’t get ABBA out of your head? Dream of turquoise beaches? 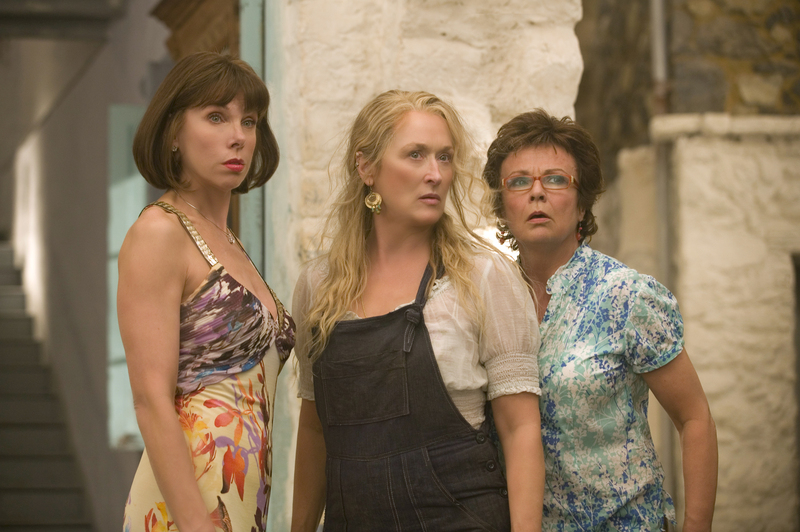 Recreate the Mamma Mia! magic with a Mediterranean-inspired honeymoon on the island of Skopelos—a honey-honeymoon, if you will. The first thing to know: Kalokairi, the island where Donna (Meryl Streep) and her daughter Sophie (Amanda Seyfried) run their hotel, the Villa Donna, is fictional. In the first movie, which celebrated its tenth anniversary in 2018, the Greek island of Skopelos served as the backdrop, while filming took place in Croatia for this summer’s big hit, Mamma Mia! Here We Go Again. 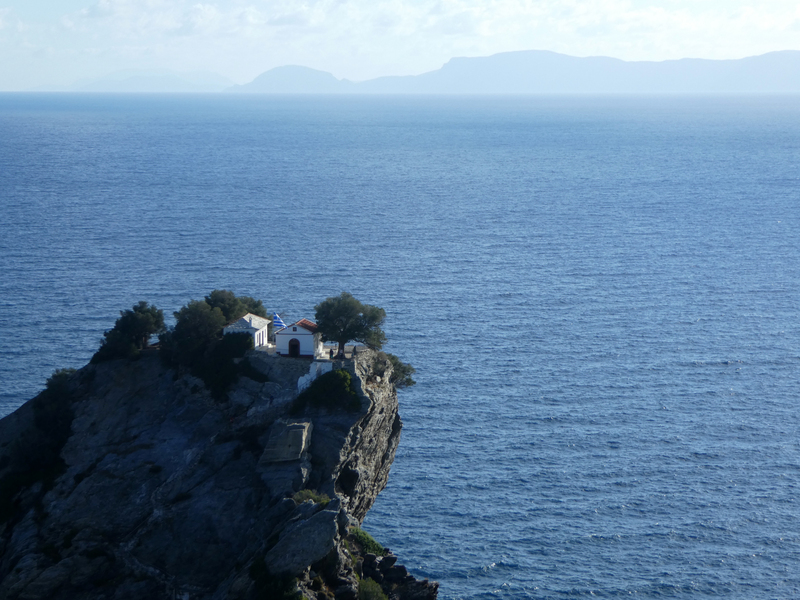 But Skopelos is the place to go for couples who want the complete Mamma Mia! experience. Newlyweds can visit filming locations like the iconic hilltop church or they can enjoy a refreshing swim in the Aegean Sea. And why not hole up in a romantic hotel room at a seaside resort where the stars stayed during the shoot? Of course, there are plenty of picturesque Greek islands to visit (6,000 to be exact) and while Mykonos has Lindsay Lohan’s beach club and Santorini has incredible hikes, the destination of Skopelos has its own stunning vistas. And, best of all, it’s not unusual for a couple to bust a move to “Dancing Queen” in public. Plus, if the honeymoon timing is right, the island can feel as if it’s completely private for a truly romantic experience. Now cue the Mamma Mia! soundtrack—whichever you prefer—and channel the spirit of ABBA (and Meryl) as you dream about those turquoise Aegean waters. According to locals, May and September are the best months to visit–since the summer months are heavy with tourism–and the weather is pleasantly temperate. It’s warm enough to lay on the beach, but not so hot that you’ll sweat through your outfit while strolling down Skopelos Town’s main drag. Couples will have to do some transportation planning so they don’t end up stranded on a ferry pier like Young Donna (Lily James) in Here We Go Again. 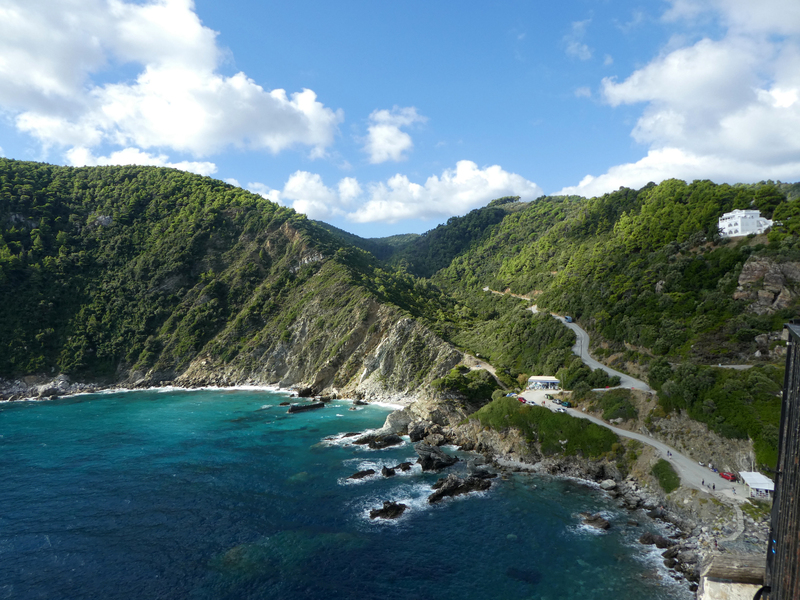 While Skopelos doesn’t have an airport, so there are two options to get to the destination. 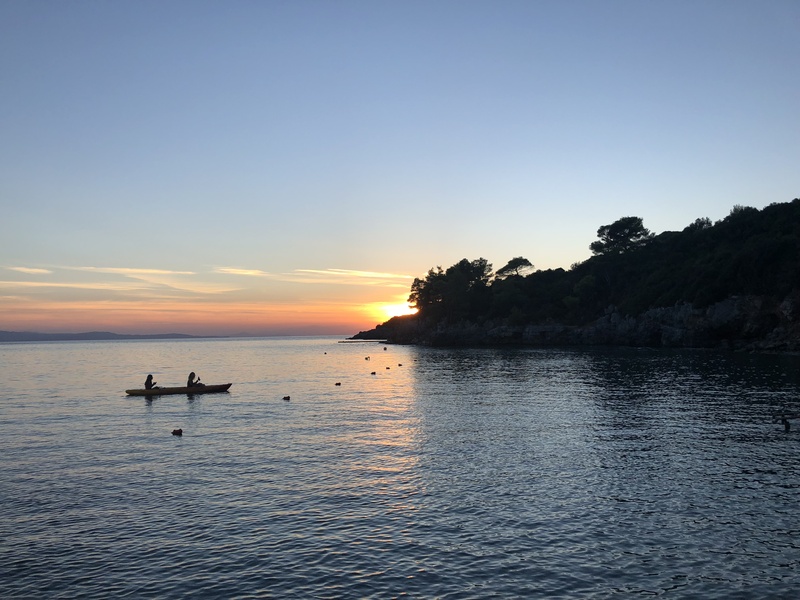 The other option, though slightly longer, is to travel to the mainland city of Volos, about a four-hour drive from the Athens airport, and take a two-plus-hour ferry to Skopelos. For couples who want to stay in town, check out the five-star Skopelos Village Hotel. 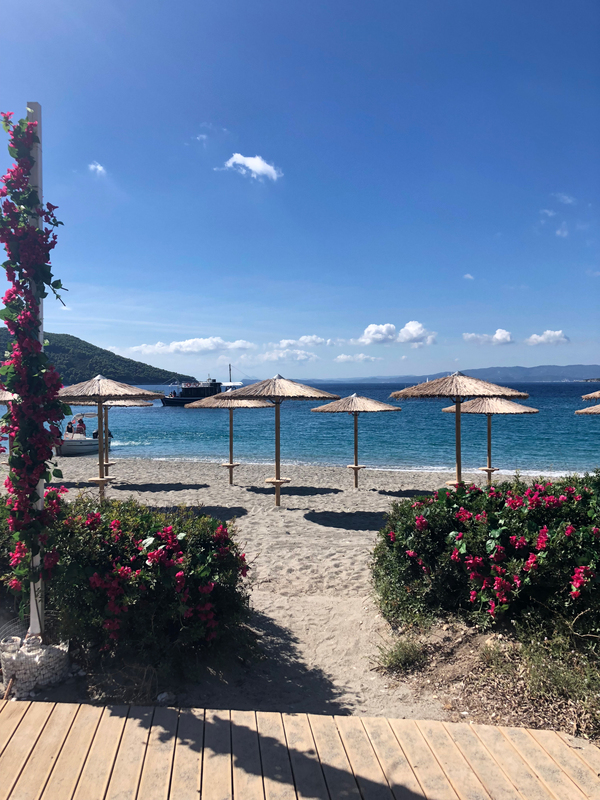 The family-owned business is a ten-minute walk to the Skopelos Marina, and it’s where the cast stayed while filming the first movie. Guests will be welcomed by a wall of photographs of the hotel owners with the stars, including Streep, Pierce Brosnan, Colin Firth, and Stellan Skarsgard. The hotel also has a restaurant that cooks up traditional Mediterranean cuisine from the family’s own recipes. Production originally built a bar and a jetty on the beach, which were both removed after filming was completed, but locals eventually built a permanent beach bar that serves delicious blended cocktails and other beach treats. Another scenic spot is Glysteri Beach, which served as Sophie’s wedding departure point, and a nearby cliff for where Sophie, Bill (Stellan Skarsgård), Harry (Colin Firth), and Sam (Pierce Brosnan) sang a portion of “Our Last Summer.” It also serves as the view from the fictional Villa Donna (which was actually a set at Pinewood Studios in London). Couples will also want to stroll through the cobblestone streets in the small village of Glossa and peruse the shops in Skopelos Town. They might even want to channel Bill with a sailboat trek. Paikos Rodopoulos, Adrina Hotels CEO, says people are drawn to Skopelos because it’s the greenest Greek island. It’s also relatively small—visitors can drive from one side of the island to the other in 40 minutes. He recommends a weeklong stay to take full advantage of the sea. 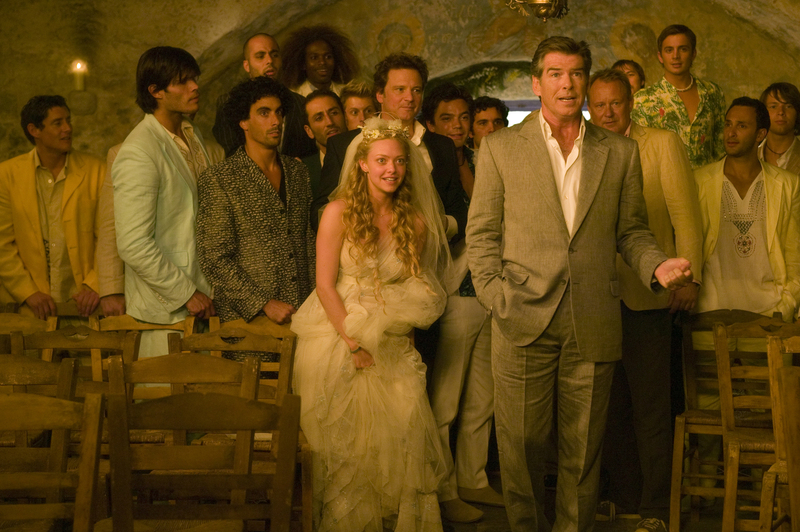 Visiting all the locations will require renting a car, but if that’s not an option, then several local companies offer Mamma Mia!-themed tours. Rodopoulos adds that many of his guests rent cars—but they use it exactly once during the whole trip, electing instead to spend their time in the sea and on the beach. Looking to fund your honeymoon? You can do it by starting your wedding registry here. Be the first to comment on "Mamma Mia! Honeymoon Guide: How to Plan a Romantic Greek Getaway"